We had a little spring outing today at Steep Rock Preserve in Washington, Ct. Spring hasn’t officially begun, but spring fever has hit hard, not just us but others as well today. We met many a people on the trail that had a bounce in their step and warmth on their faces. We trekked on the yellow blazed trail. The beginning of the trail to the overlook is a steady switch back going up and up. 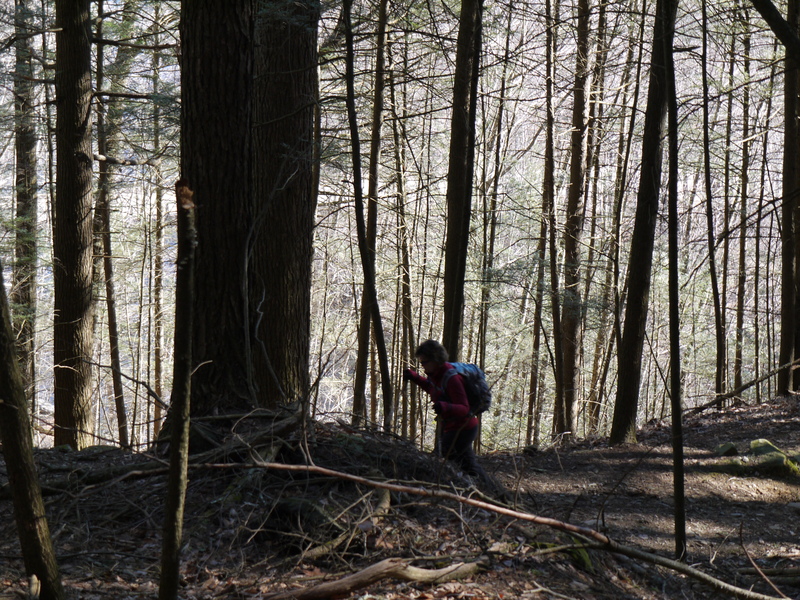 We went through hard wood forest, to pine, to hard wood, to pine and back and forth on this jaunt. The smell of spring was in the air, piney and mossy scents teased our nostrils. 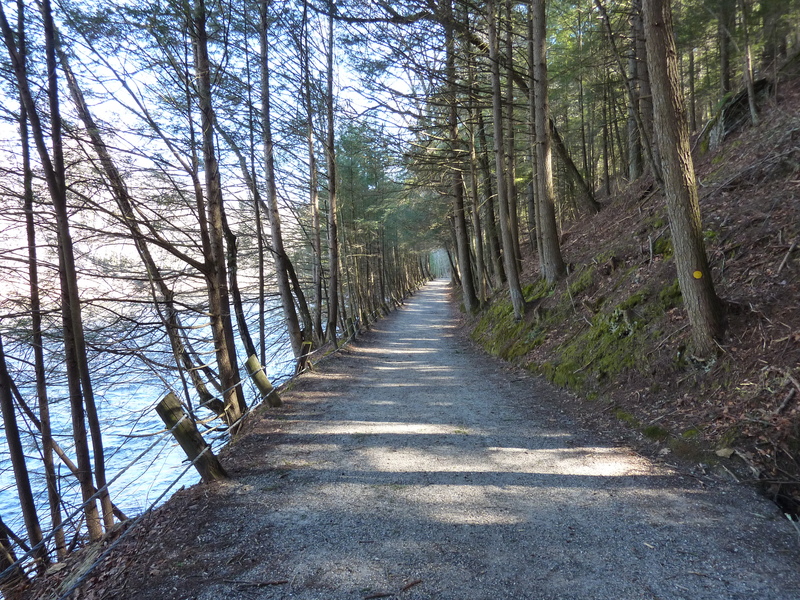 We followed the yellow blaze until we reached the trail that lead us to the overlook. This area is affectionately known as the Clamshell. 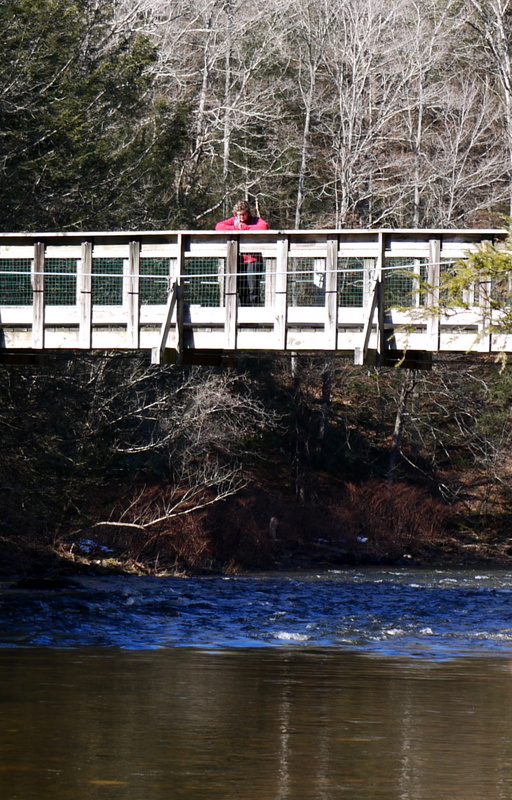 You see a land mass hugged on three sides by the Shepaug River. With the sun at an impossible angle, we couldn’t capture the image of the Clamshell. This was a beautiful viewing area and when the trees unleash their varying shades of green, I’m sure it is a stunning sight. Returning to the yellow trail, we once again diverged from it. This post intrigued us and as my courage has grown on hikes, I enjoy a bit of dangerous hiking. Truth be told, the sign in totality reads “Dangerous Trail No Horses”. Well if a horse would have a difficult time, it must be fun. 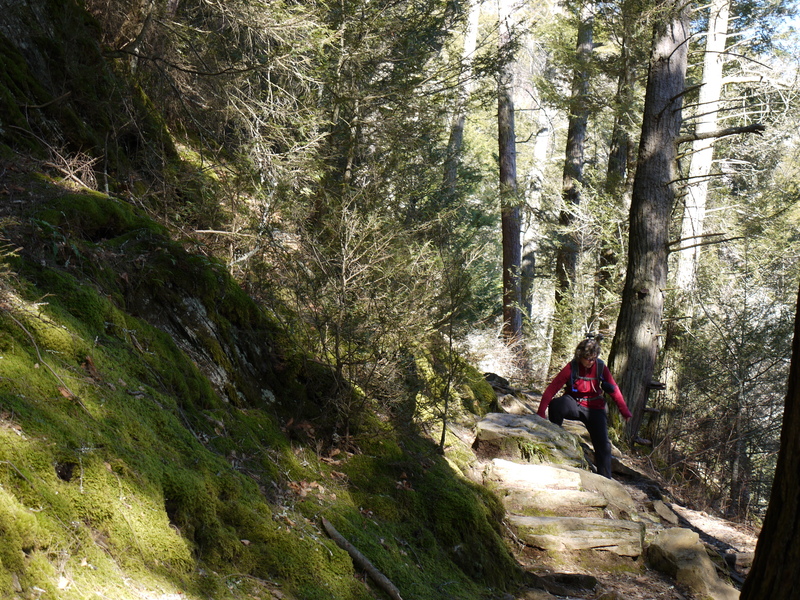 We descended to a trail that was full of moss-covered logs and rocks. The green budding out was a shout out to spring fever overcoming us. Rocky and narrow was the trail we followed, down to the river it guided us. From here we forged our way to the railroad tunnel. This place harbored the last of the winter ice, slowly melting its way into a new spring season. 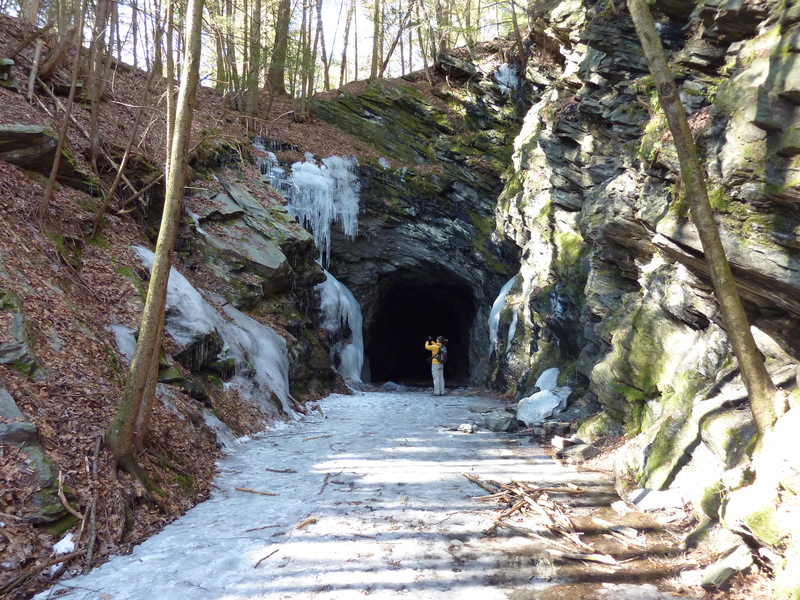 We were hoping to explore the entire tunnel, but ice floes that coated the floor made it dangerous to do so. 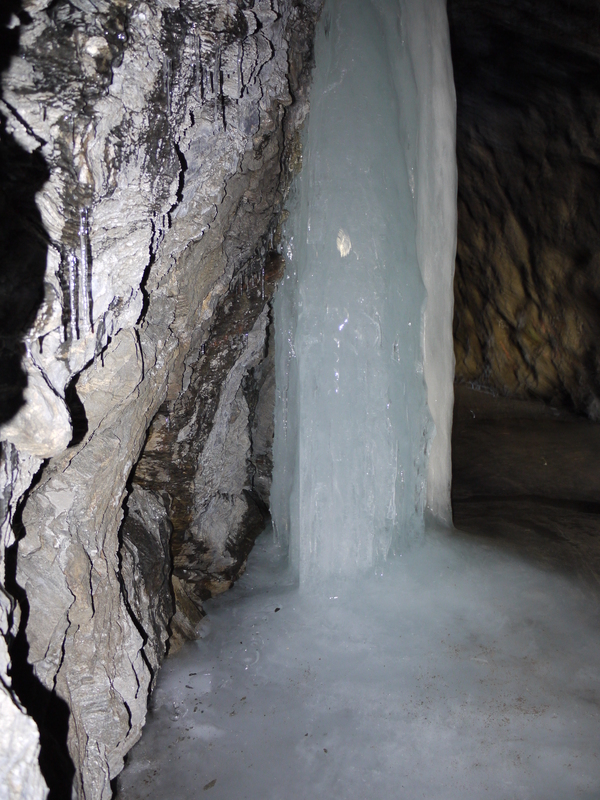 The ice formations and icicles were a study in art form of the natural variety. After departing the ice tunnel, we returned to the yellow trail. A wide wood road that paralleled the river to the left and the railroad to the right. 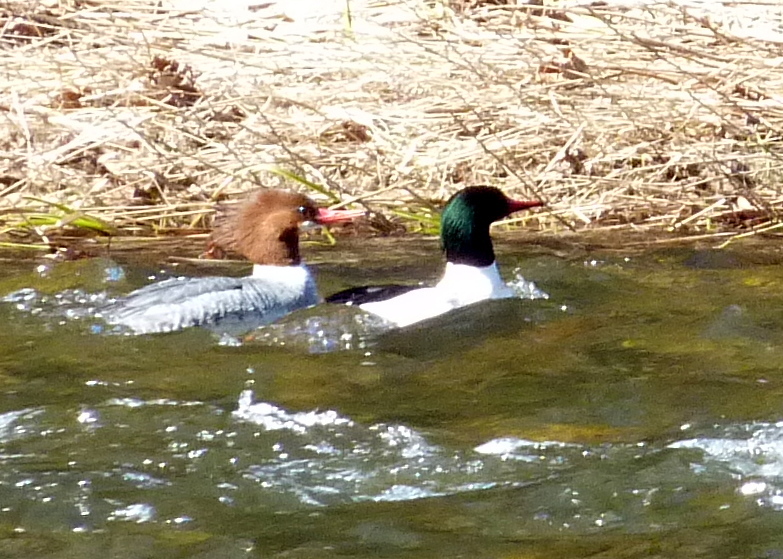 The river was running fast, a sure sign that spring was fast approaching, We even had the company of a common merganser duck couple. These are typically summer birds in this area, but to see them now, was a jump for joy sign of spring and summer fast approaching. We neared the end of the trail. This section reminded us that life is flowing and spring will soon be fully upon us. It was a walk that had the aromas of new birth; pine, crisp air, and decaying of fall. The sounds of spring: birds rejoicing, the crunch of the frost of the thawing earth, and the fast river finding its purpose. 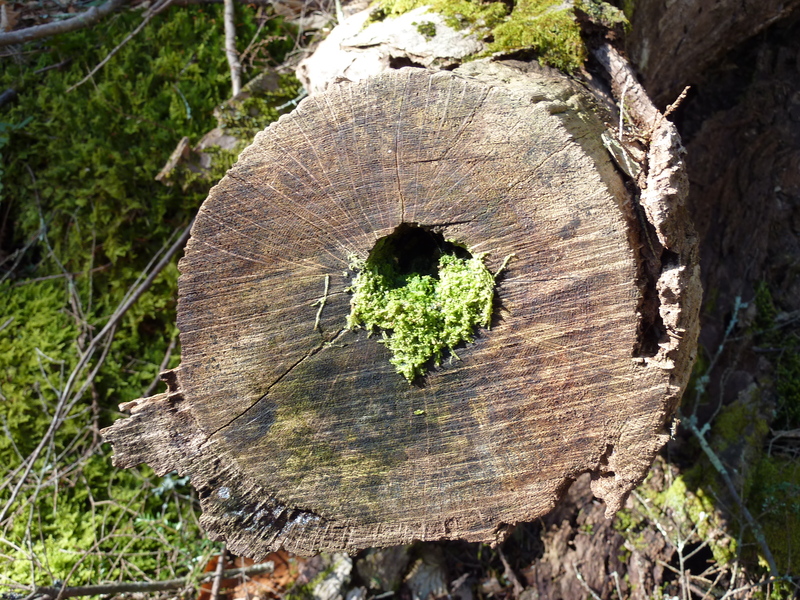 The sights of spring: people embracing the warmth of the sun, moss emerging and insects beginning their journey. The Details: Steep Rock Reservation in Washington, Ct. Trail map has 4.2 miles on yellow trail. We went off and 5.5 miles. Easy walking, no trekking poles required. Beautiful area with lots of options to walk. We parked at Lower Church Hill Road and River Road. Lots of parking.